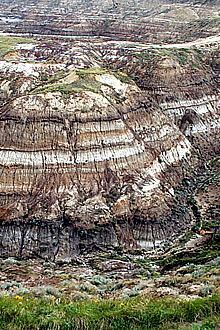 Horsethief Canyon is a sightseeing and hiking destination located west of the community of Drumheller, Alberta, Canada. 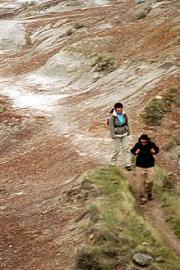 It is an area well documented with fossil discoveries of dinosaurs. There have been over 35 dinosaur discoveries recorded in the region uncovering fossils dating as far back as 70 million years ago. That was then and this is now. Now... Horsethief Canyon is more of a sightseeing destination providing far reaching views of Drumheller Valley and the Canadian Badlands. 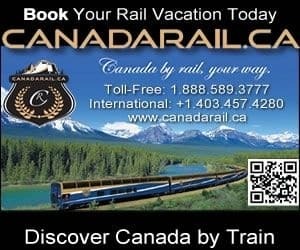 It is one of the more popular sightseeing areas in the region for views of the Canadian Badlands. The Canadian Badlands is a unique landscape comprised from sea deposits sculpted by glaciation and centuries of erosion from winds and rain. Because of the centuries of exposure nature has created a landscape of coulees, hoodoos and river valleys. The views begin instantly. From the parking lot it is a short stroll to the edge of the high coulee-like cliff. From the high vantage point the unique landscape stretches out before you for many kilometres. The history of Horsethief Canyon dates back to the old western days when farms and ranches dominated the landscape. During that period, throughout the valley, there were thousands of horses roaming free belonging to individual ranchers. Legend says the horses that would enter the canyon would return carrying a different ranch brand... hence the name Horsethief Canyon. The parking lot at Horsethief Canyon is RV friendly and there are information billboards located near the parking area. There is no fence, so watch your footing and keep children close. If the views are not enough for you there is a walking trail which leads down into the canyon so one can explore coulees and hoodoos.